While going kayaking alone can be quite enjoyable, the ride is guaranteed to be much more fun when you bring a friend along. And with the Intex Explorer K2 Kayak enables you to do just that! Featuring a striking yellow and black streamline design, the Intex Explorer K2 is a 2-person inflatable kayak that emphasizes on convenience, ease of use, comfort, and safety. But what really makes it to stand out from other similar kayaks? Read this Intex Explorer K2 Kayak review to find out. 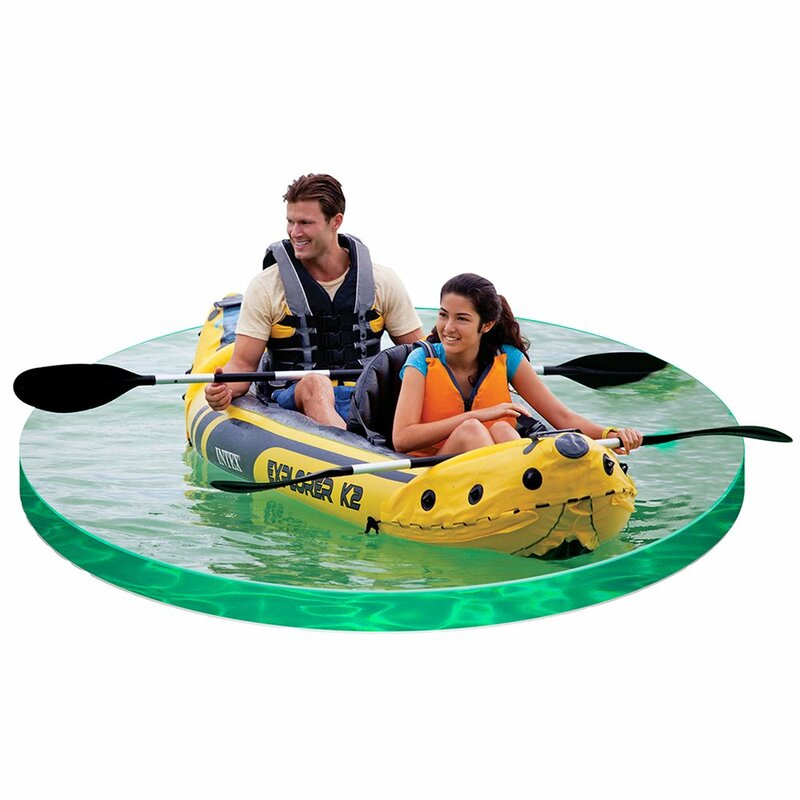 Both the kayak itself and the paddles are made of quality durable materials. The kayak features a super tough 30-gauge vinyl material laid over a 1200 denier shell with internal tubes. The paddles, on the other hand, are made of top quality aluminum. Everything about this kayak is designed to ensure both kayakers are comfortable. In addition to having spacious cockpits, the Intex Explorer K2 Kayak comes with adjustable seats and backrests that enable you and your kayaking companion to achieve optimum comfort while on the water. When it comes to kayaking, one of the biggest threats to kayakers is perhaps the lack of visibility – especially in bad weather. In the grand scheme of things, a kayak is but a speck in the water as compared to oil tankers, cruise ships, and huge steamers. So, if you’re not visible, then there is an increased risk of other vessels crashing into you since they can’t see you. Luckily for you, visibility will not be a problem when your buy the Intex Explorer K2 Kayak. This kayak stands out with its striking yellow color, making you easy to spot on water. And thanks to its excellent buoyancy, the kayak always floats on top of water thereby increasing visibility. The Intex Explorer K2 has an overall rating of 4.5 out of 5 on Amazon at the time of writing this review. Most of the buyers praise the kayak for its rigid construction, stability, ease of inflation, and remarkable resilience. Complaints have been very few and far between. The Intex Explorer K2 Kayak offers plenty of features that enable you to get your money’s worth. It has a sturdy construction, holds 2 people, has a beautiful look, features durable materials, and even has seats that provide you with extra support whenever you need it. Therefore, if you plan to stick to calm waters and want a top quality vessel that’s both reliable and easy to use, you need to look no further than the Intex Explorer K2 kayak.